Loyola University New Orleans will celebrate the 50th Anniversary of Walker Percy’s novel, “The Moviegoer,” by hosting a conference about the Southern writer Oct. 14-16 on its main campus. Walker Percy, a prominent Catholic novelist, taught at Loyola during the 1970s, and several of his former students will be returning to honor the author and the novel. The conference, which is open to the public, begins at noon on Oct. 14, in the J. Edgar and Louise S. Monroe Library and will offer a variety of panel topics focused on Percy’s best-known novel—its contexts, its effects, its influences and its place in American and Southern literary history. Registration will be in the “Living Room,” located on the first floor of the library. 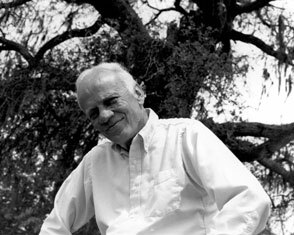 The conference culminates on Saturday at 6 p.m. in Nunemaker Auditorium with a showing of Win Riley’s new movie, “Walker Percy: A Documentary Film,” which follows Percy's life from his youth to his prolonged hospitalizations for tuberculosis during World War II, and to his eventual success as a novelist. He was a doctor who turned to literature and philosophy, and at the center of the film is an examination of Percy's move from agnosticism to faith. Loyola provided key financial support in the production of the film, which premieres on PBS on Tuesday, Oct. 4, and is credited in the documentary.